# Position: Center fielder and third baseman. Izumi is one of the more experienced players on the team, good at batting and catching and most notably a very fast base runner. 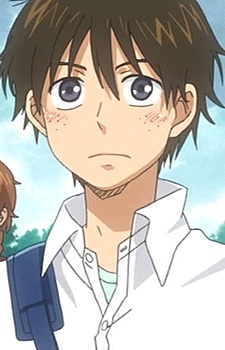 He is in the same class as Mihashi and Tajima and shares their lunchtime activities of talking, eating and then falling asleep. He attended the same elementary and junior high school as Hamada, although up until high school Hamada was a year above him. He appears to enjoy antagonizing Hamada and does not treat him with the respect due to a former senpai.